Just a quick note, I have an author page on Goodreads and would appreciate connecting with all of you there. Sharing books we’ve all read and want to recommend, as well as setting up focus groups, reading groups and just having fun discussing topics concerning the literary world. Goodreads is a San Francisco based company, in fact, their office is located down a few streets from where I have my day job. 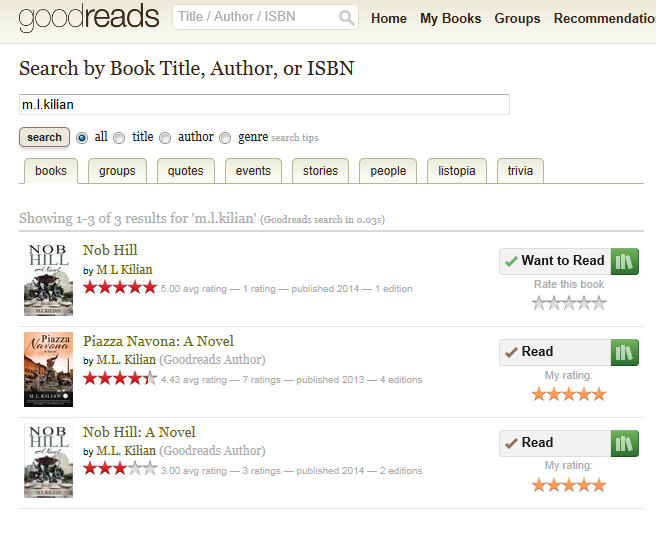 Recently, or maybe not so recently, Goodreads integrated with Amazon, the connection probably useful for anyone who is an avid reader seeking info, ratings, comments and so forth about a book, hopefully easily.